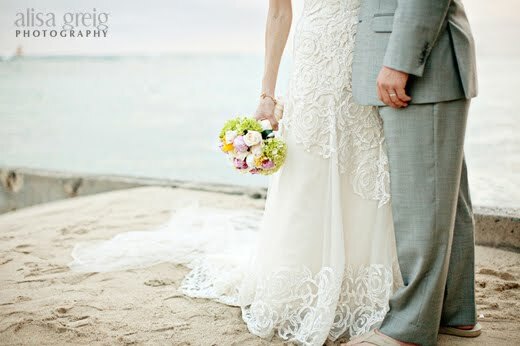 Tomorrow, a sweet Hawaiian Wedding. So sorry for the extreme lack of posts lately...who knew summer would be so busy! Here are some gorgeous ring pillows by Woomi I just found while browsing Etsy. They are offered in a huge variety of colors and flowers. Not only does Woomi sell ring pillows, they also sell some pretty stunning applique garters! Be sure to check it out here. 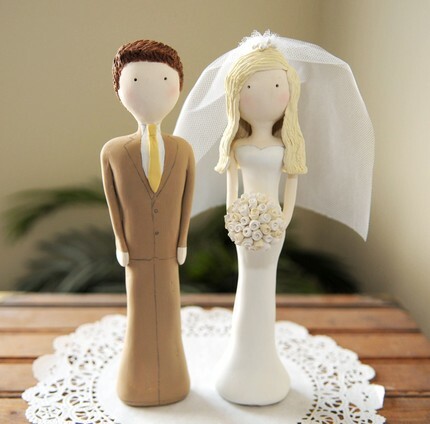 How adorable are these hand painted paper mache cake toppers by Red Light Studio? 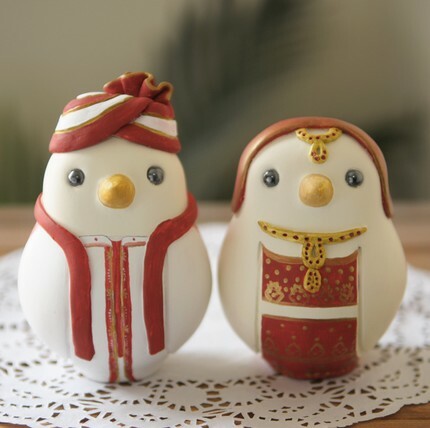 They come in a variety of figures including "love birds", penguins, people, and even owls. 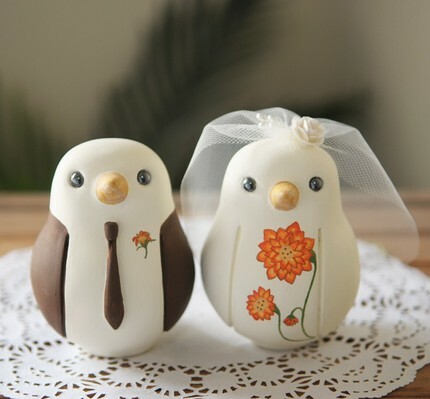 If your looking for a sweet accent for your cake, be sure to check out Red Light Studio here. 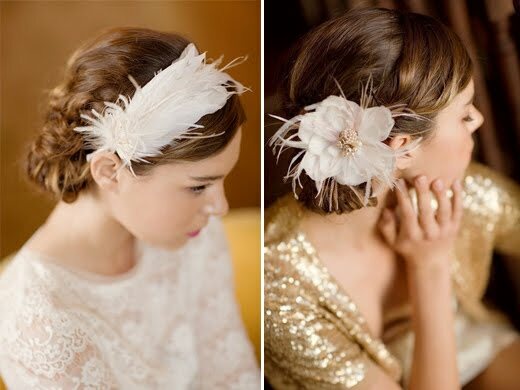 Here are a few pretty little hair accessories via Lo Boheme. 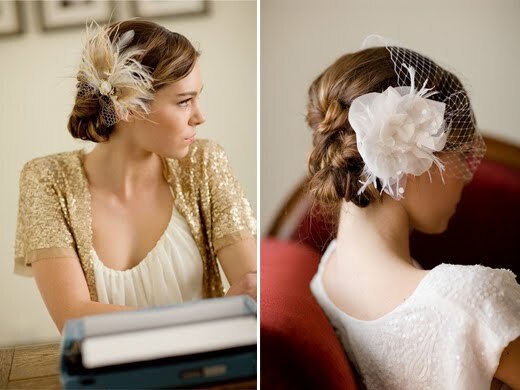 Gotta love a little vintage accent! Sienna Wedding: Finds for the Modern Bride. 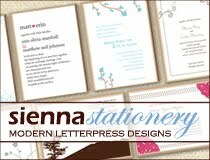 Sienna Wedding is a blog devoted to bringing the reader every detail for their big day. 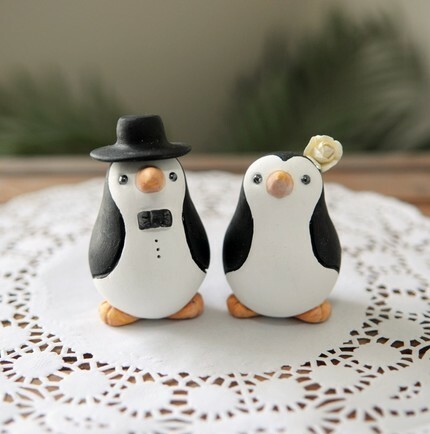 Sienna Wedding posts photography, dresses, stationery, accessories, desserts, cake, jewelry, flowers, decorations, and more. If you are a photographer, designer, florist, baker, or any other type of wedding professional, contact us today to be considered for a feature or link.